Zayd Mutee Dammaj was born in 1943 in Al-Naqilain area, Al-Saiyani County, Ibb Province, Yemen. On May 14, 1944, his revolutionary father revered sheikh Mutee bin Abdullah Dammaj, escaped from Al-Shabakah Prison, located in Taiz province, to Aden. He started to write famous articles in Fatat Al-Jazeerah (the Girl of the Peninsula) newspaper, a form of civil but effective resistance against the rule of Imam Yehya in the North and his dynasty. Later, sheikh Mutee joined hands with his companions to establish Al-Ahrar Party (The Party of the Free). He received his elementary education at his village’s Mi’lamah (traditional school or madrasa). He exceeded his peers as he studied and memorized the Holy Quran. His father then took the responsibility for educating him through his private library, a wide collection of books he had brought from Aden. 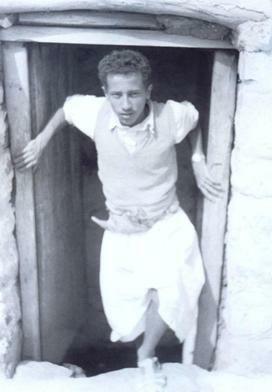 Young Zayd was a voracious reader of books on literature, history and politics, most important of which were Georgi Zaidan’s Riwaiat Al-Islam (The Novels of Islam). His father had him join Al-Ahmadiyah School in the city of Taiz and he obtained the primary education certificate in 1957. With the help of a close friend, his father could afford to send him to Egypt in 1958 for the purpose of study. He obtained the Preparatory School Certificate in the southern town of Bani Suwaif in 1960 while his Secondary School Certificate was obtained from Al-Maqasid School in the city of Tanta in 1963. He joined Cairo University’s Faculty of Law in 1964 but changed his mind two years later and studied journalism at the Faculty of Arts after his literary tendency emerged. 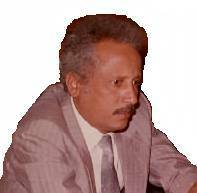 His political articles and early stories were published in Al-Yemen Al-Jadeedah (New Yemen) magazine. In 1968, his father summoned him back home. He left Egypt for Yemen to participate in the revolutionary activities and stay beside his father who refused to give up any of the Revolution’s Goals and reconcile with the Royalists who supported the ousted Imamate regime. He could not complete his study due to his father’s health conditions and his dedication to political activism. In 1970, he was elected into Al-Shoura Council (The Consultative Council), which was the first elected parliament in the country, representing Al-Saiyani County. He served as Chairman of the Suggestions, Petitions, and Grievance Investigation Committee. On Jan 14, 1972, his father passed away, an event that proved to have a great effect on his personal, literary and political life. In January 1976, he was appointed governor of Mahweet province and was consecutively elected twice as a member of Al-Sha’b Council (The People’s Council). He was appointed Delegated Minister and Acting Ambassador to Kuwait in 1980. In 1982, he was elected member in the Permanent Committee of the ruling party General People’s Congress and a rapporteur of the GPC’s Political Committee. 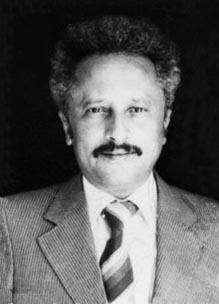 Member of the Union of Yemeni Writers; Member of the Union of Arab Writers; Member of the Afro-Asian Writers; Secretary General of Yemen Peace and Solidarity Council; Member of the World Peace Council. He was appointed Advisor to the Minister of Foreign Affairs and a delegated minister in Britain in 1997. 1- Tahish Al-Hawban (Al-Hawban Monster), a story collection published in 1973 (Second Print 1979; Third Print in 1980). 2- Al-‘Aqrab (The Scorpion), a story collection published in 1982. 3- Al-Rahinah (The Hostage), a novel first published in 1984 by Al-Adab House, Beirut. - translated into French and published in 1991 by EDIFRA. - Translated into English and published in 1994 by Interlink. - Translated into German in 1999 and is currently being translated into Russian, Japanese and Spanish. - Featured in the UNESCO sponsored project Kitab fi Jaridah (A Book in a Newspaper) in 1998. - In early 2000, Al-Raheenah was selected by the Egyptian Writers Union among the best one hundred Arabic novels in the 20th century. 4- Al-Jesr (The Bridge), a story collection published in 1986. 5- Ahzan Al-bint Mayasah (The Grieves of Girl Mayassah), published in 1990. 6- Al-Inbihar wa Al-Dahshah (The Amazement and the astonishment), a narrative from the author’s memory published in 2000. 7- Al-Madfa’ Al-Asfar (The Yellow Cannon), a story collection published in 2001. 8- Al-Madrasah Al-Ahmadiyah (The Ahmadi School), a novel being printed. 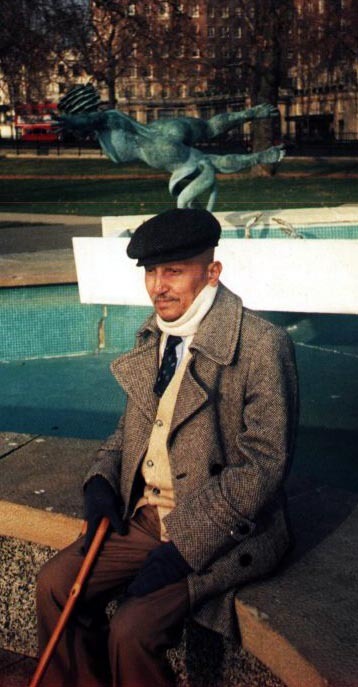 Zaid Mutee Dammaj contributed a large amount of political and social articles published in a number of local and Arab newspapers and magazines. His literary works provide valuable material for instruction at schools and universities. On March 20, 2000, he passed away at The Middlesex University Hospital, London, at the age of 57. His lifetime was devoted to the defense of human and national causes. He left behind a wide range of works that enriched the Yemeni and Arab literary arena and catapulted him deservingly into the ranks of international writers.